Zip lining, rock climbing, off roading... 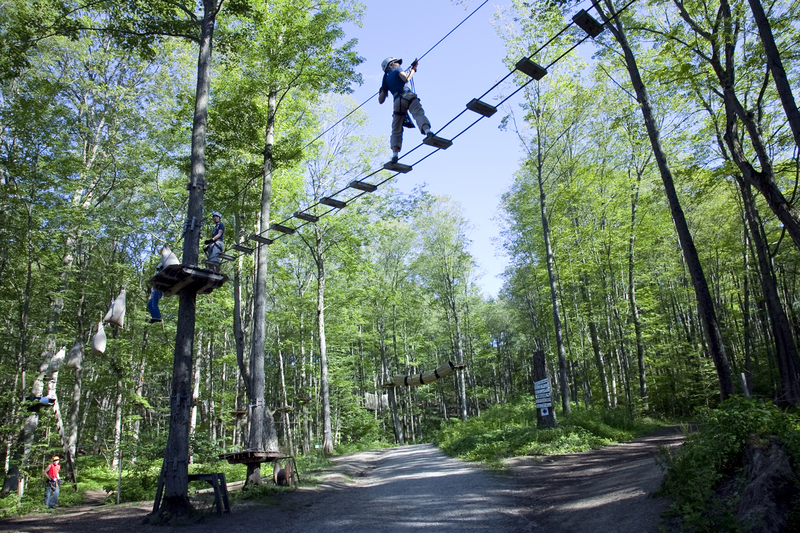 It's adventure time at Barrie's Horseshoe Village! 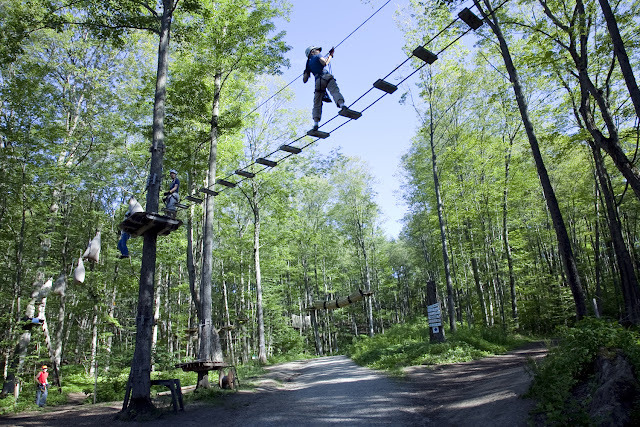 Zip lining, rock climbing, off roading… It’s adventure time at Barrie’s Horseshoe Village! The BuzzBuzzHomies are an adventurous bunch. Mountain climbing, sky diving, street luge, we’re up for it all! That’s why when Skyline invited us up to Barrie to tour the site of their future condo development, Horseshoe Village and to partake in an plethora of awesome activities in their Adventure Park, we jumped at the opportunity. The first phase of Horseshoe Village, part of a master-planned community by Skyline, is currently in its registration phase and has whole ownership condos starting at $199,900. Future residents will have all the amenities and activities offered at Horseshoe Resort Village close at hand including five restaurants, two championship golf courses, 25 ski runs and 67.5 km of Nordic trails. 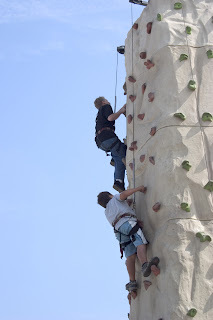 Now, of course all of that sounds amazing, but since the BuzzBuzzHomies’ golf game isn’t up to par and summer isn’t the best time for skiing, we decided to go all out in the Adventure Park and see just how many activities we could pack into one day. Check out these pics and try telling us that this doesn’t look like a fantastic time! We begin our adventure at the Highlands Golf Course. We wanted to check out the greens just in case our golf game radically improves in the near future. That’s some good lookin’ green! It’s adventure time for the BuzzBuzzHomies! The park is bustling with kids, teens and adults of all ages. Not exactly Red Rock Canyon, but it still looks like a heck of a lot of fun. We thought that a scavenger hunt through a maze would be kid’s stuff, but after 20 minutes of being totally disoriented, we found out that kids typically get through the maze in less than 15. We blame our distracting Blackberries! Up next, zip lining! The views from up there were spectacular. Almost as spectacular as the ones on the ride down. Yahoo! We were going full speed, but still managed to snap a photo of the ride. Gliding to a safe stop down at the bottom. It takes less than a minute to zoom down, however, the exhilarating ride is well worth the 15 minute trek up to the top of the zip line mountain. BuzzBuzzHome goes OGO! Anybody can hop inside this 3 metre inflatable “OGO Ball” and roll down a hill. Hot day? No problem! Some balls are filled with water for a more refreshing, but just as fun ride. We went on a tour of the wilderness surrounding Horseshoe Village. It was pretty wild. This is just one of the crazy stunts our driver pulled while we bounced around in the back having the time of our lives. Because of the sheer number of activities, we obviously missed a few. Skyline was kind enough to provide some photos of the ones we missed. 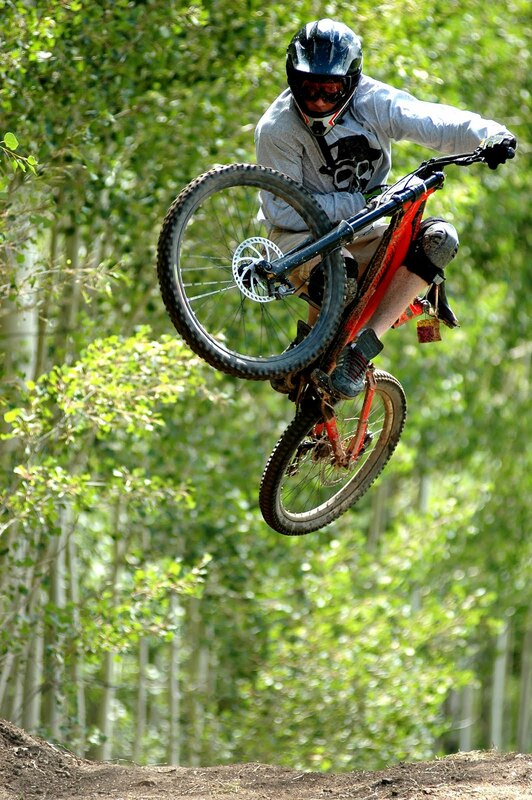 Just so you know, we totally can pull off mountain bike moves like that. We were especially disappointed to miss tree top trekking. Next time! Thanks Skyline for showing us such a great time in Barrie! For more inside info on Horseshoe Village, check out our Buzz Talk with Harley Nakelsky, director of sales and marketing at Skyline, and check back here for all the latest buzz! Visit the project website by clicking here or email jen@horseshoevillage.com for more information.